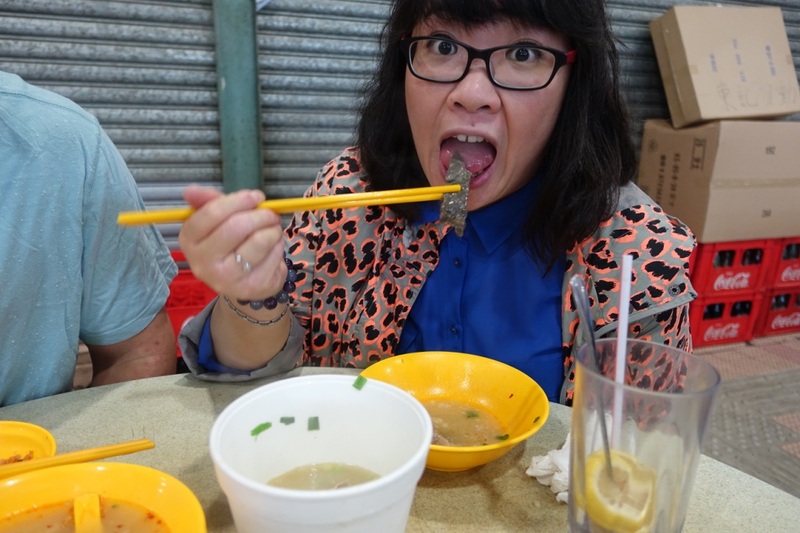 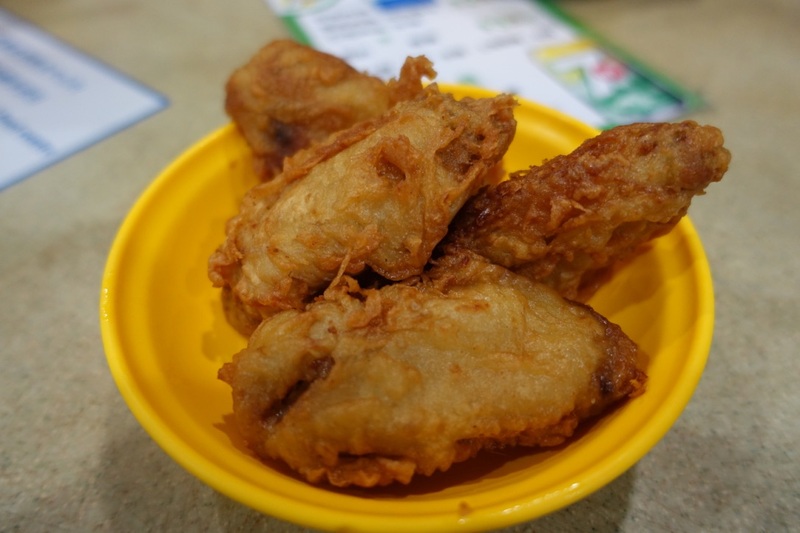 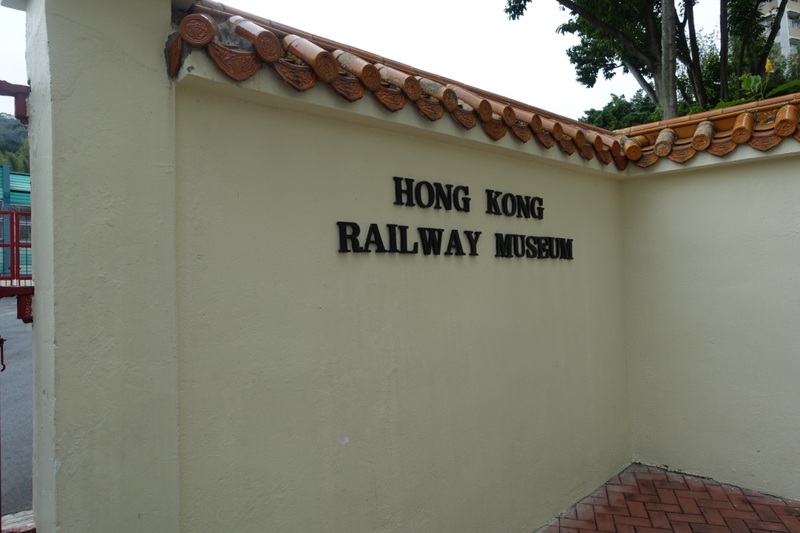 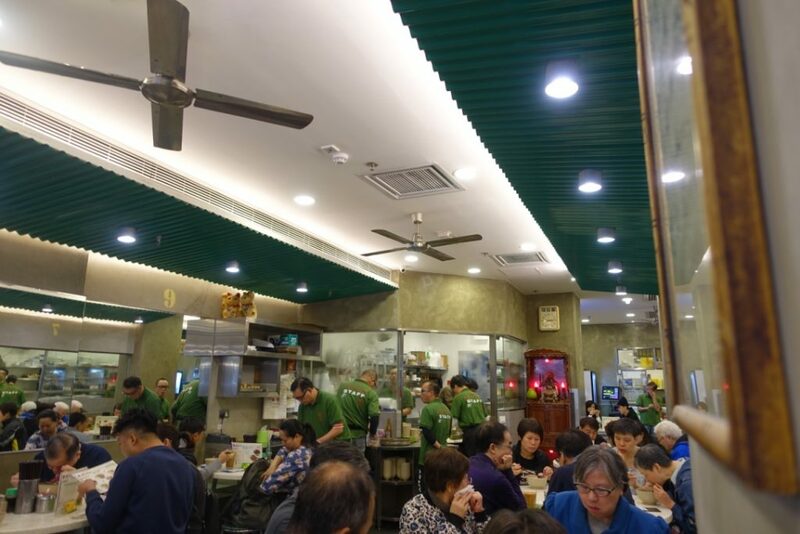 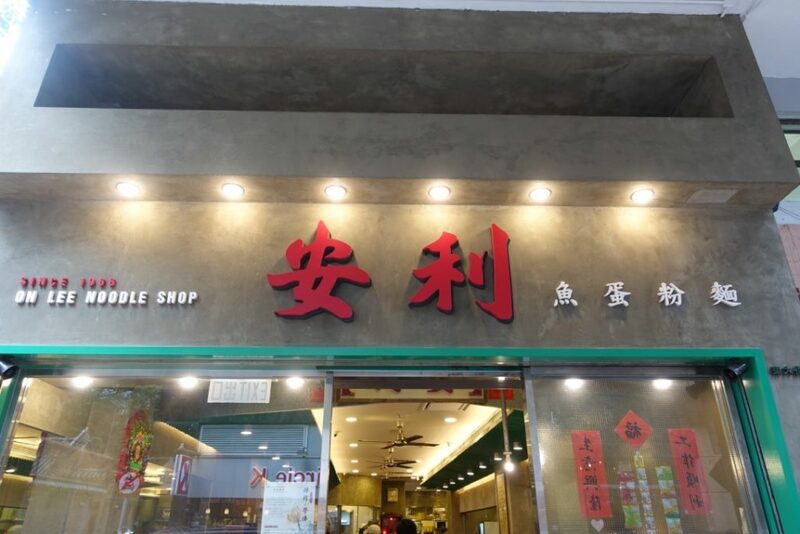 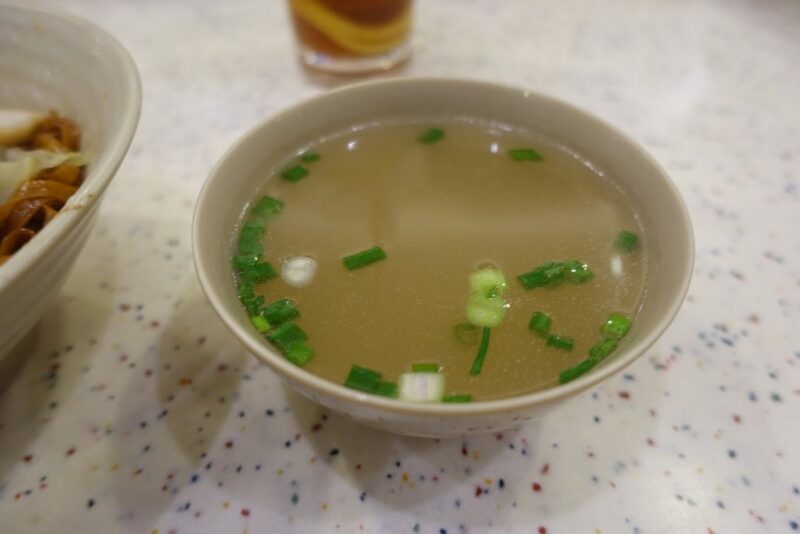 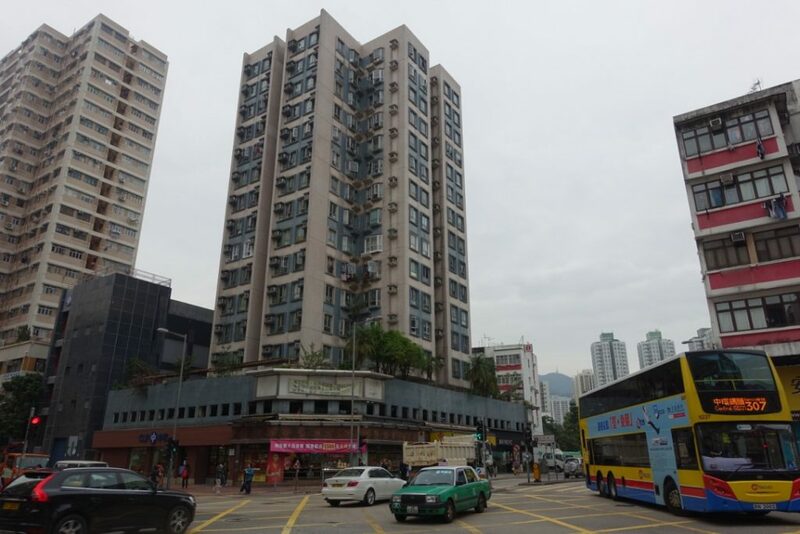 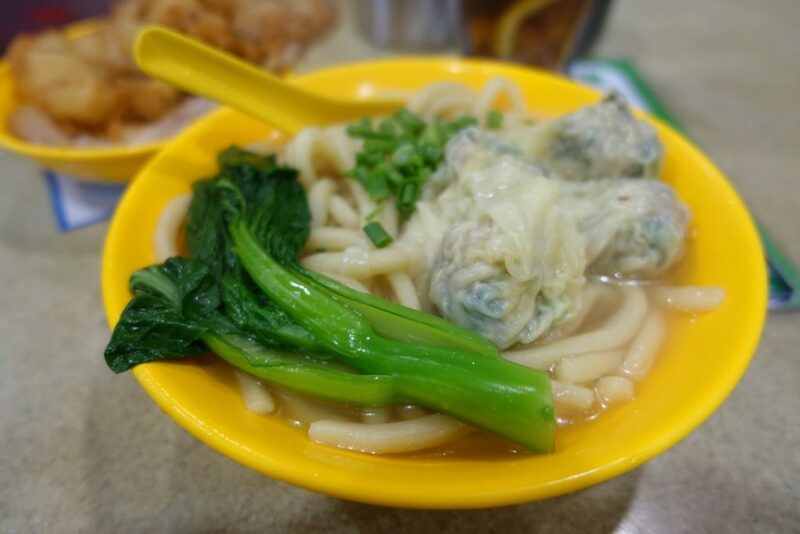 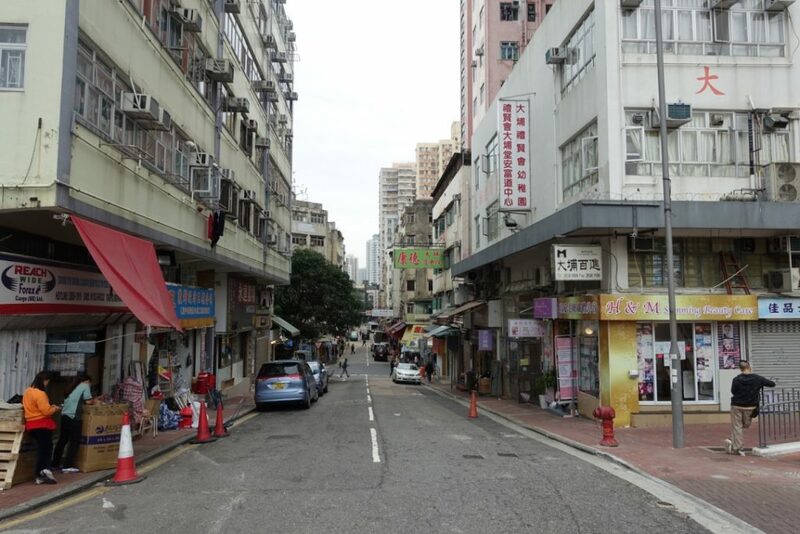 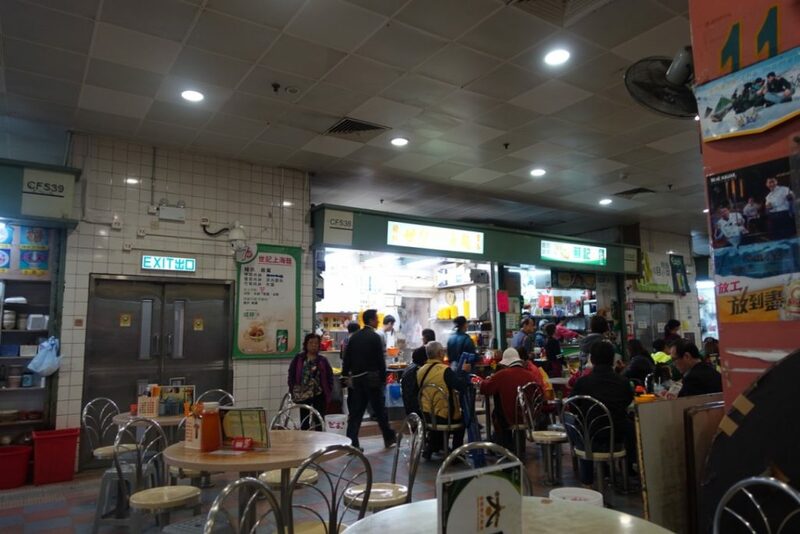 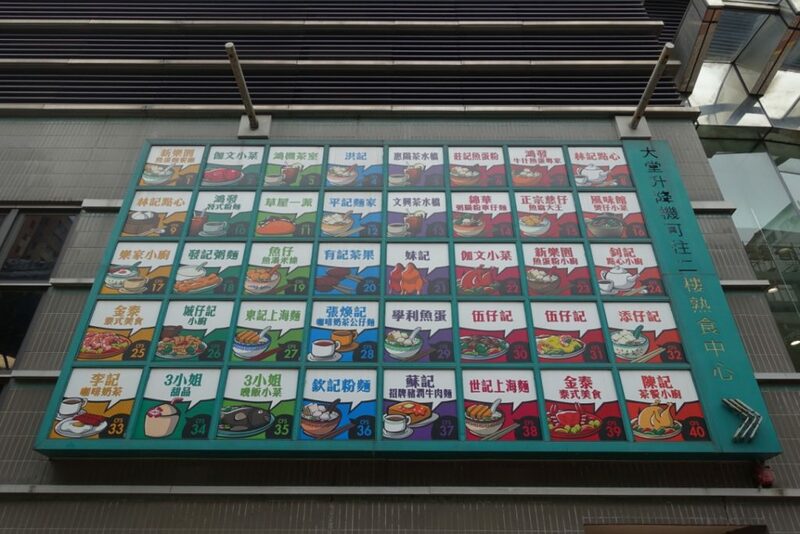 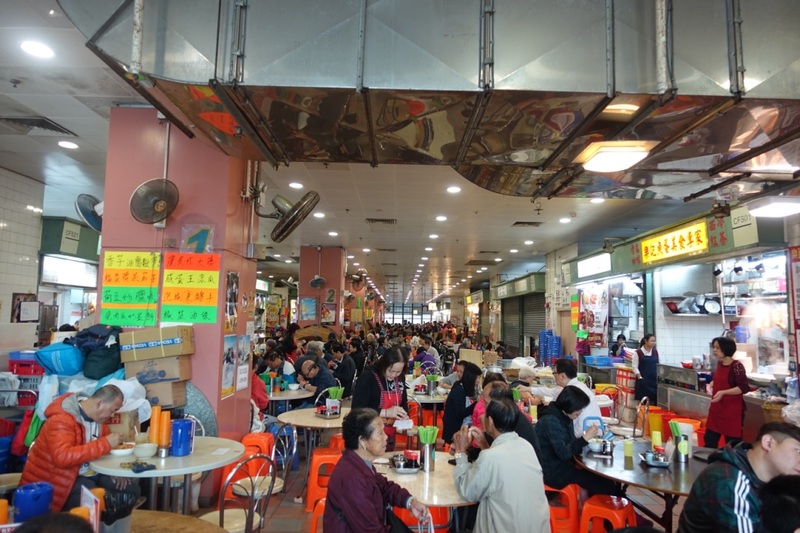 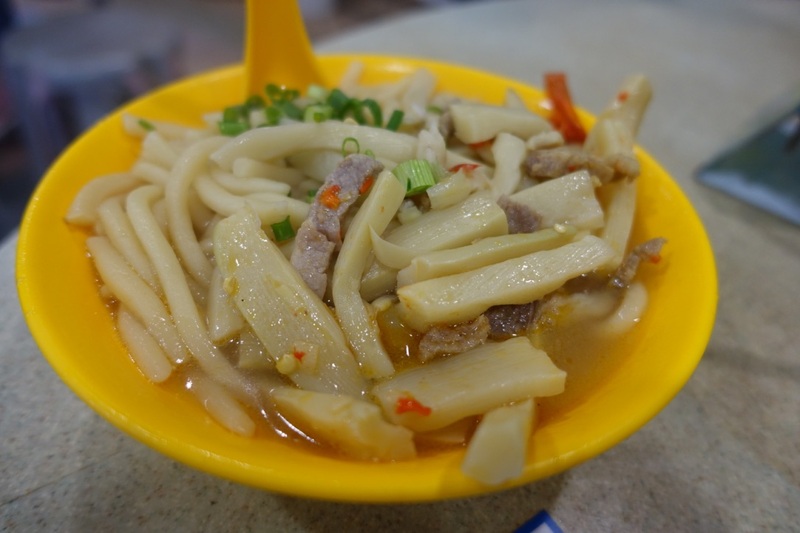 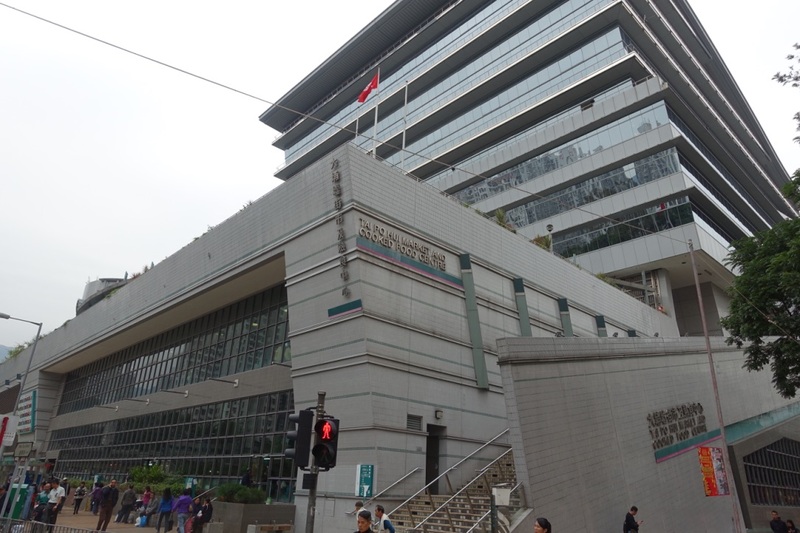 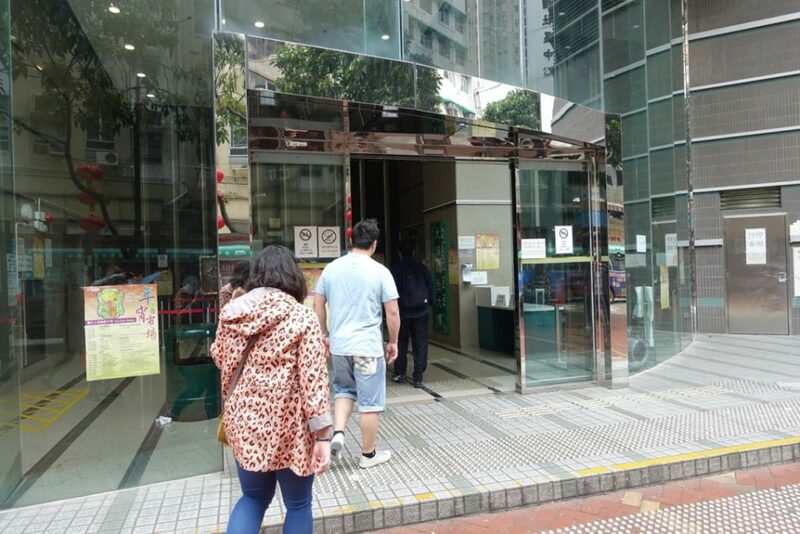 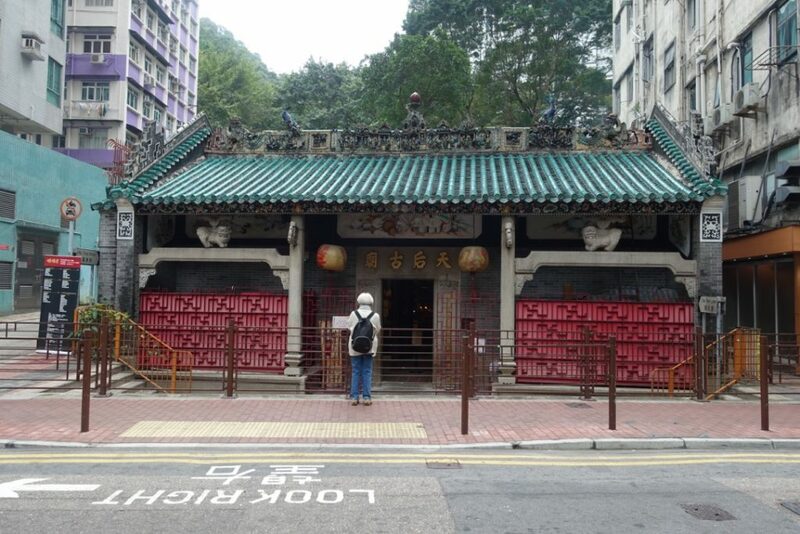 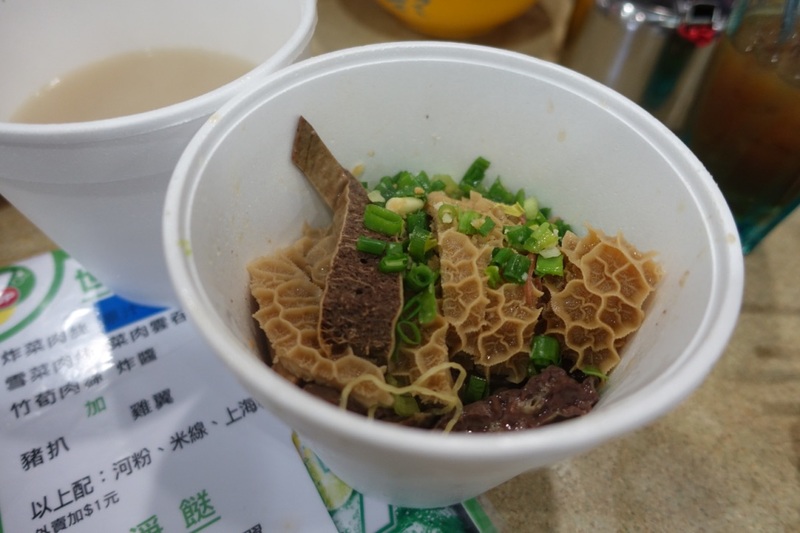 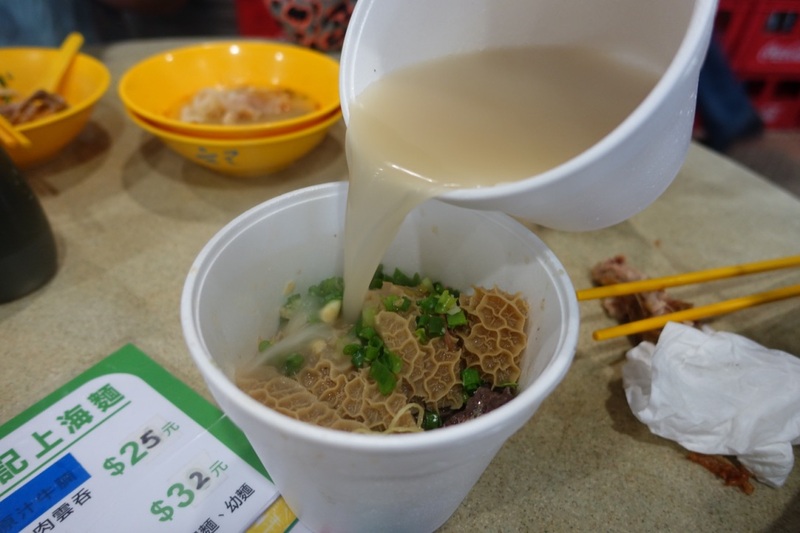 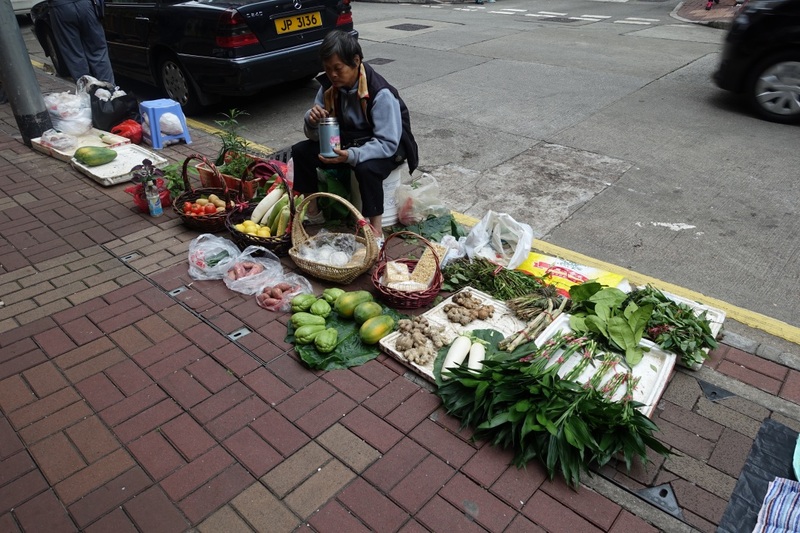 Tai Po is one of 18 districts of Hong long’s New Territory’s, and we came here to explore, discover and eat at their famous (well to locals at least) “Tai Po Hui Cooked Food Centre”. 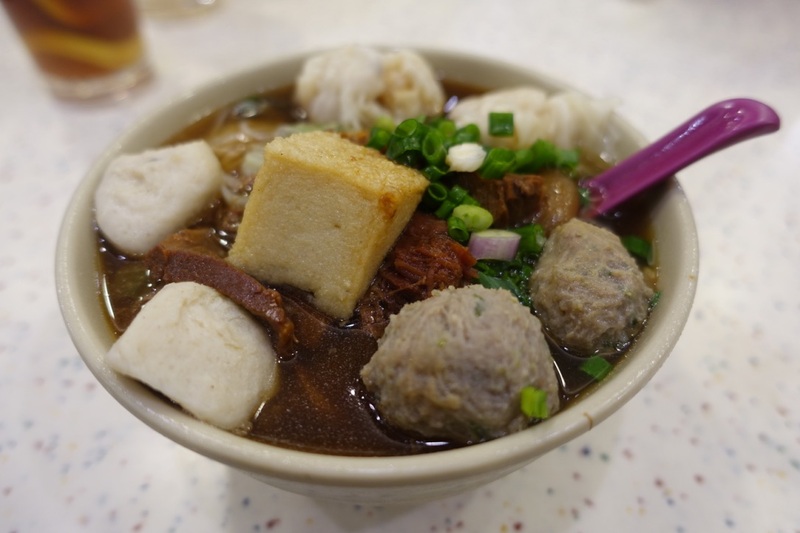 It’s akin to Singapore’s hawker style markets and scratches many itches from dim sim, Cantonese barbecue, congee, noodles, wonton, Indian & even Thai. 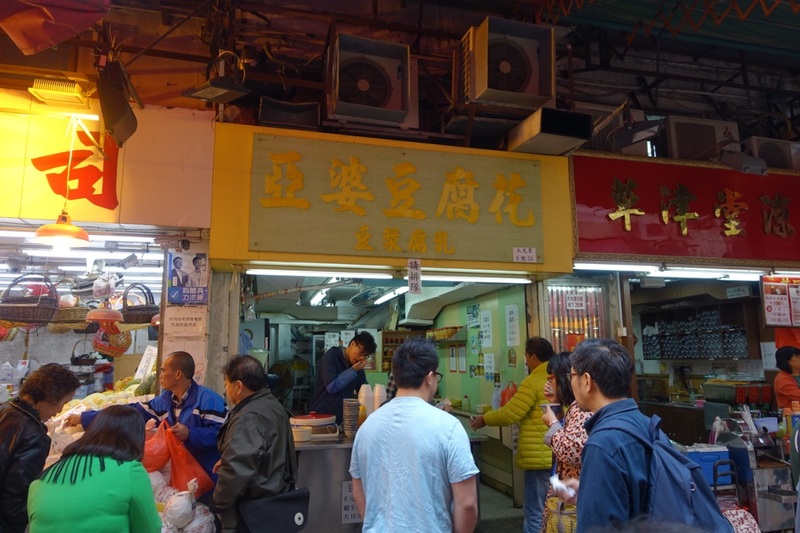 Just like it’s hawker market cousin’s, food is served from little mom and pop style booths, each specialising in one thing. Queues are a plenty and it’s buzzing! 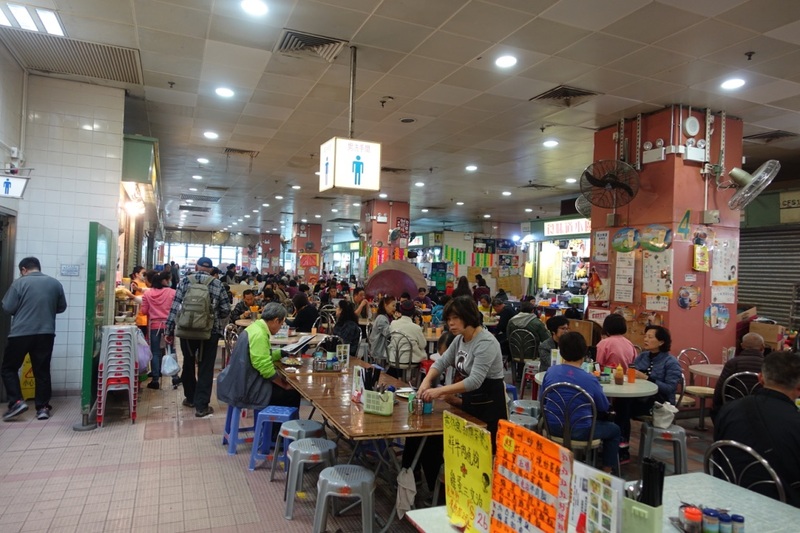 Tables are communal, and a meal here can be had with next to nothing. 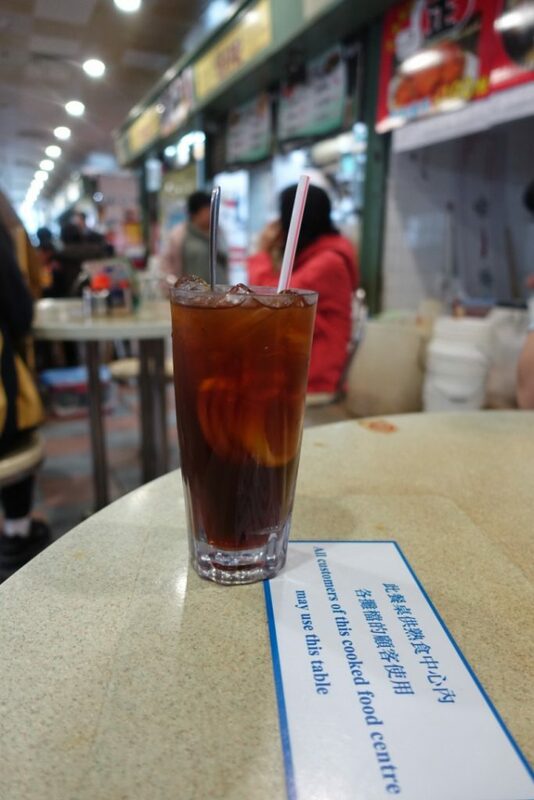 We start off with lemon iced tea of course..
We stopped off at this little place first which is famous for their fried pork chops and chicken wings. 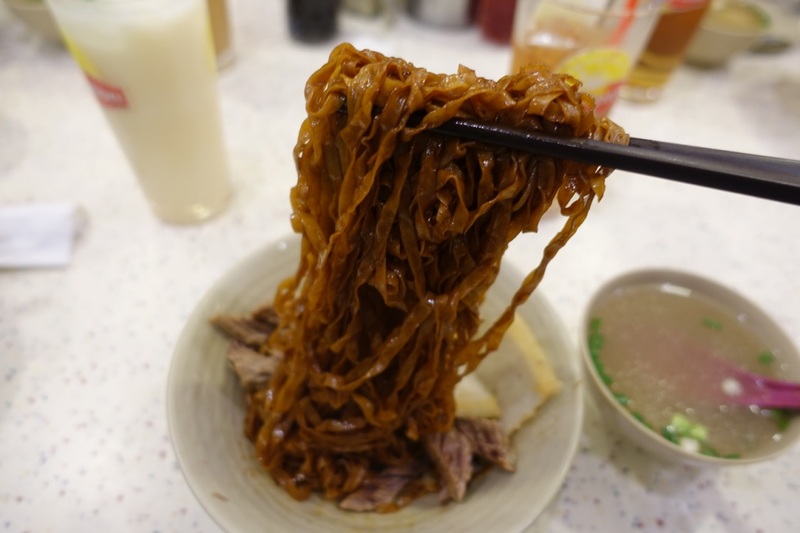 We couldn’t resist trying some of their carb items too, so ordered some of their shredded pork bamboo noodles and wonton noodles. 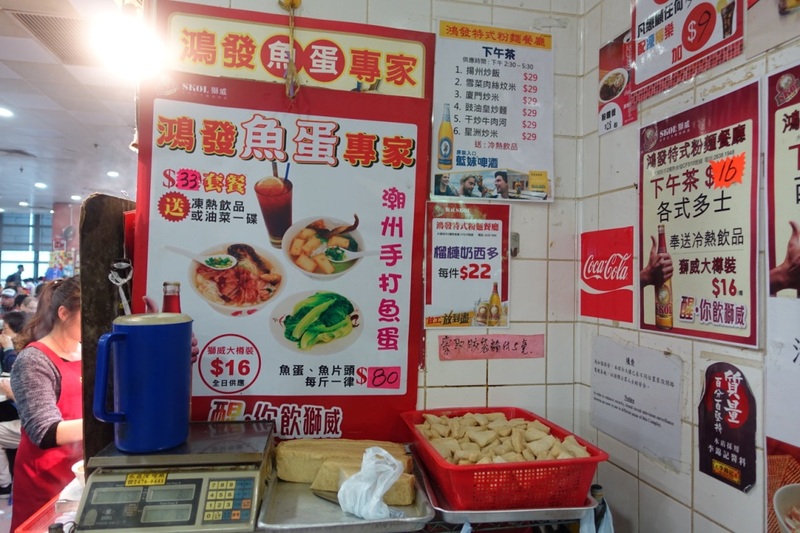 Not feeling that satisfied, I went for another wander and came across this place – the bubbling cauldron of mystery parts, offal in this case was strangely appealing. So I got us some. A weird local eating arse. 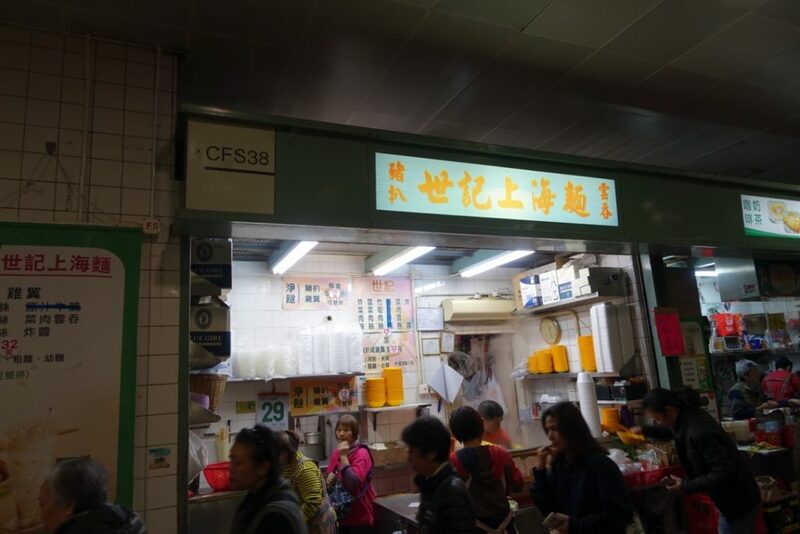 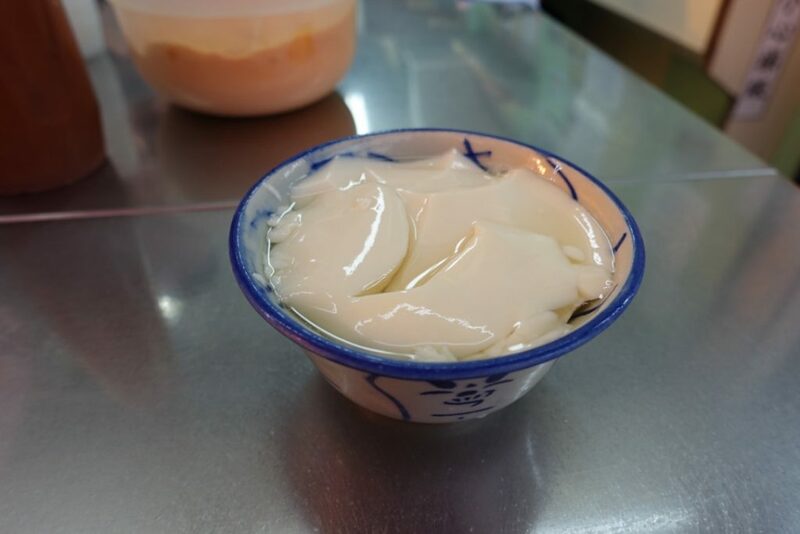 We left the Tai Po Hui Cooked Food Centre shortly after this culinary kick in the goolies and went for some desert at Tai Po’s famous Yapo Tofu for dessert. Shortly after we took a long walk to Shau Kei Wan to explore and discover more. We stopped off at a famous local noodle peddler “On Lee Noodle Shop” who have a reputation for their beef & fish ball noodle concoctions. 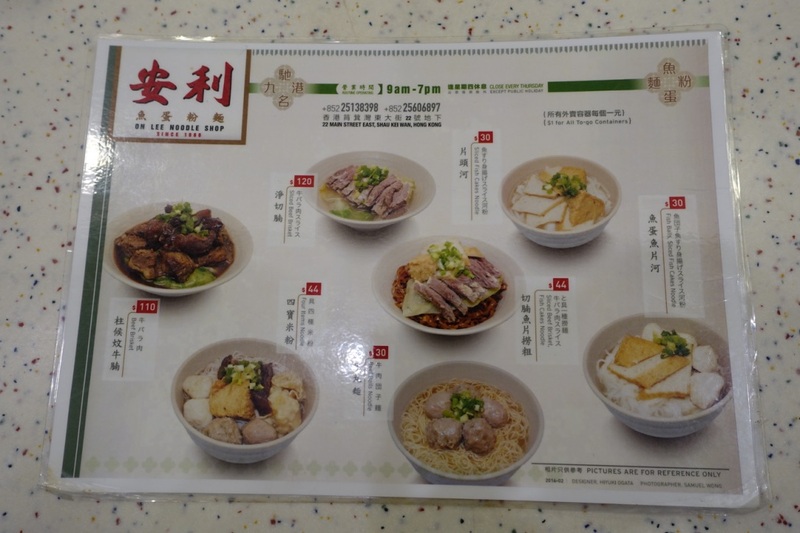 The four items noodle bowl was perfect if you couldn’t decide on a single protein. 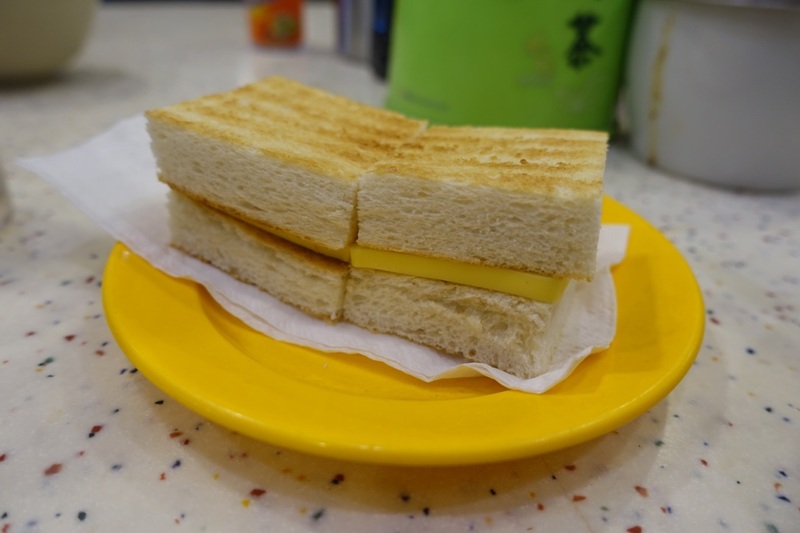 Toast with butter and condensed milk is seemingly a local favourite. Comes with butter so thick, it looks like cheddar. I went for the sliced brisket with fish cakes and noodles. Everything was soft, greasy and comforting. 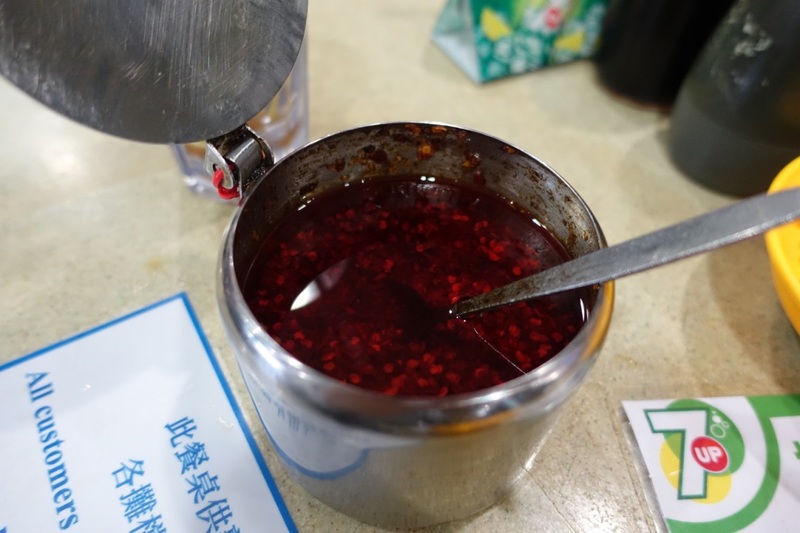 I can get why this stuff is so popular. 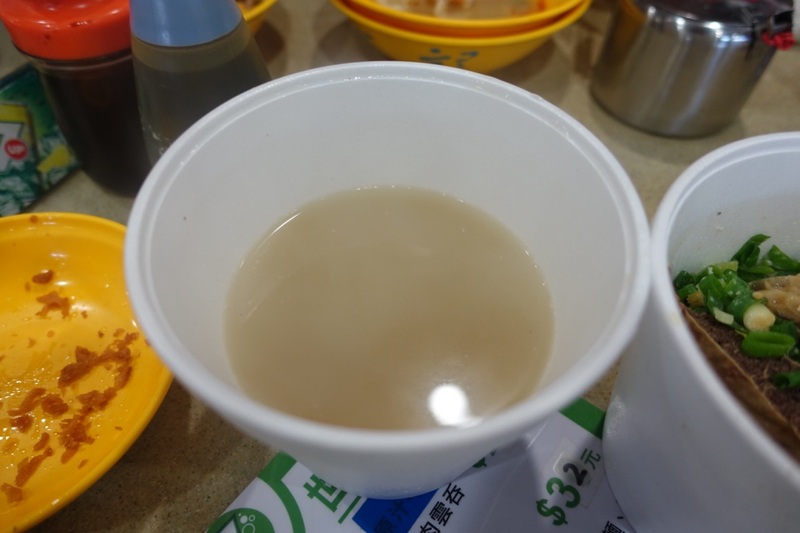 The dry noodles always come with a side of broth to balance things out. 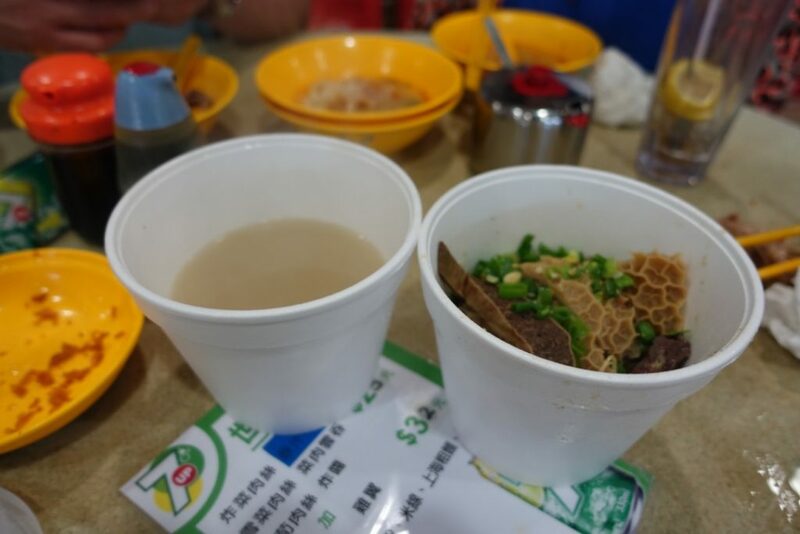 The good: There’s enough combinations to keep you a happy diner here, soup noodles, dry noodles, surf n turf. 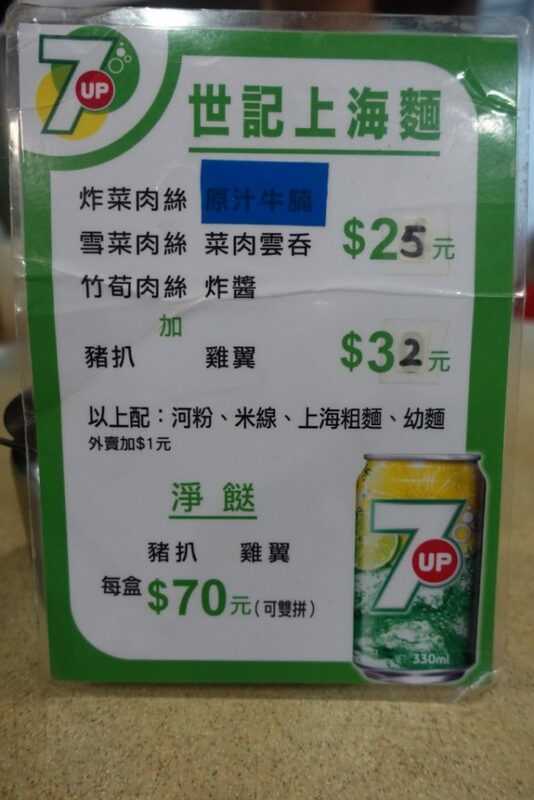 Or just get both, it’s cheap enough. 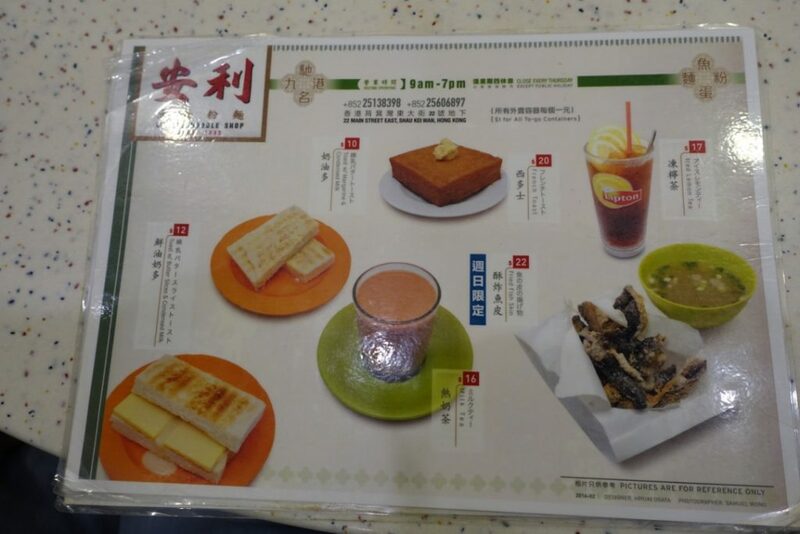 Oh and if butter is your thing.. 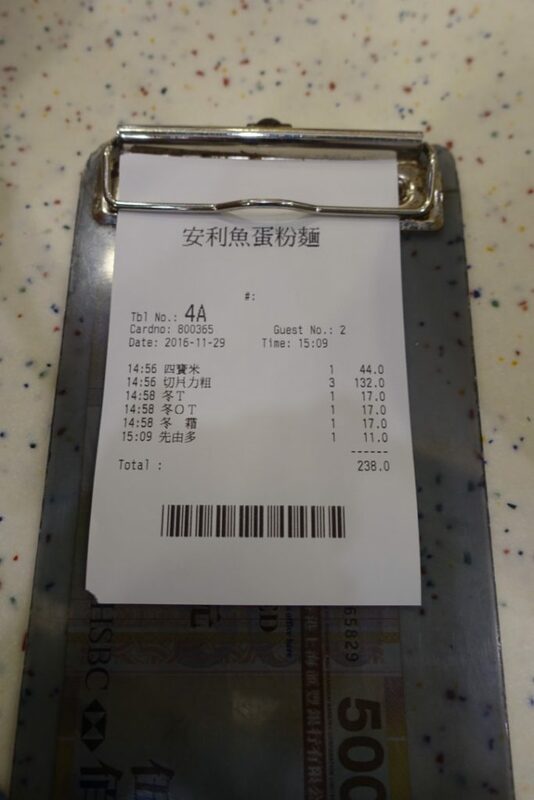 The bad: Not much as this price. 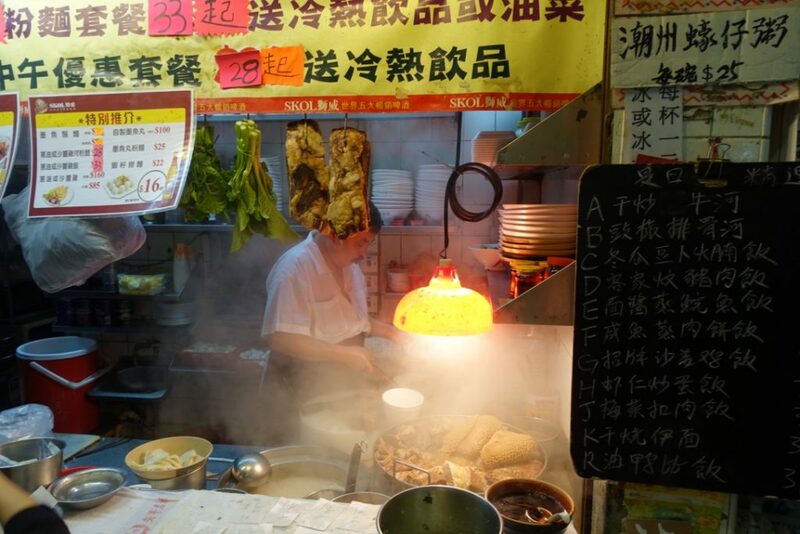 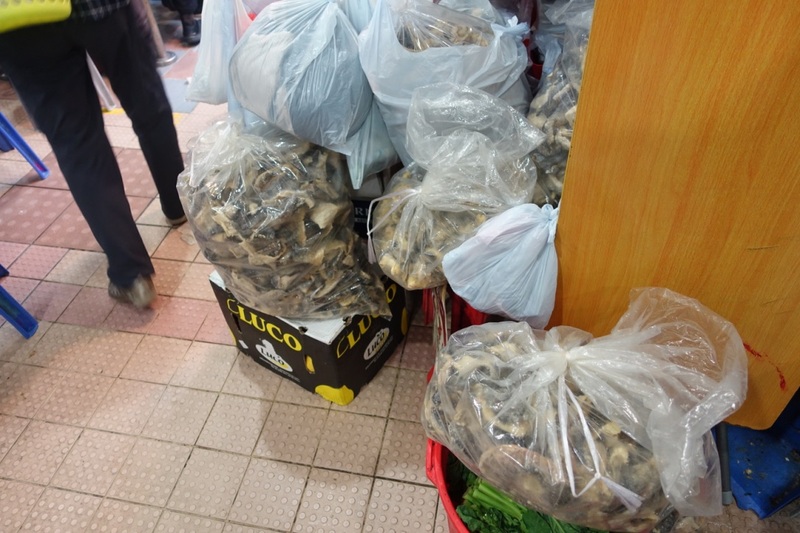 ← Yung Kee HK – Roast Goose Heaven?